Relying on our expertise in this domain, we are into offering MS Balcony Grill. We are one of the most reliable companies in this domain and are into offering MS Window Grill. 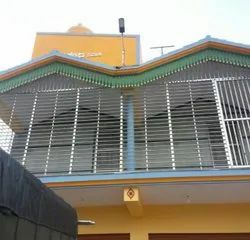 MS Window Grill offered is engineered using best available techniques and following international industrial standard. Starting prices: 130 rs per square feet.